It has been an odd game of musical chairs this winter for those donning the tools of ignorance. That might be a reflection on changes in how catchers are evaluated, or it might simply be a lack of supply. 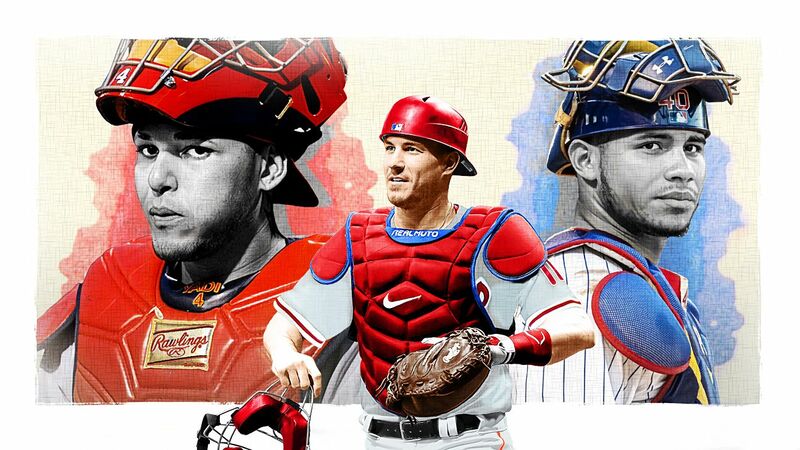 Whatever it is, there will be a lot of new faces in new places this season, though of course they’ll be hiding behind masks, as catchers tend to do. As slow as the offseason felt at times, the catching market was popping. Pitch-framing guru Jeff Mathis went from the Arizona Diamondbacks to the Texas Rangers. The Diamondbacks will replace him with a combination of newly acquired Carson Kelly and veteran Alex Avila. Yasmani Grandal moved from the Los Angeles Dodgers to the Milwaukee Brewers via free agency. He’ll be replaced in L.A., in part, by veteran Russell Martin. Jonathan Lucroy moved from the Oakland Athletics to the Los Angeles Angels. Yan Gomes was acquired by the Washington Nationals from the Cleveland Indians. The Nats also signed former Atlanta Braves catcher Kurt Suzuki. The Tampa Bay Rays traded for Mike Zunino, the Seattle Mariners‘ starter last season, while Mariners signed Omar Narvaez. The New York Mets signed Wilson Ramos off the free-agent market. Then last week, the Miami Marlins — finally! — traded J.T. Realmuto, sending him to the Philadelphia Phillies and bringing back a younger replacement in Jorge Alfaro. Whew. Now that the dust is mostly settled, let’s begin our survey of each position in baseball with a snapshot of the catchers.